Cali came from the best breeder I know! Do your research before taking home an adorable puppy. I shouldn’t even need to say this … but don’t ever buy a puppy online. A law passed a few years ago attempted to crack down on internet puppy sales by requiring that seller have a physical location where buyers could see and pick up the puppies, but that’s hard to enforce. A second problem with puppy purchases is, of course, the likelihood of purchasing a puppy mill puppy. This is terrible for so many reasons, among them: It feeds a business model that is based on mistreating dogs; the breeding dogs are often not only mistreated, they are unhealthy and could pass genetic, temperamental, and other flaws on to their puppies; and the puppies’ first weeks are spent in unhealthy, frightening, and damaging conditions. 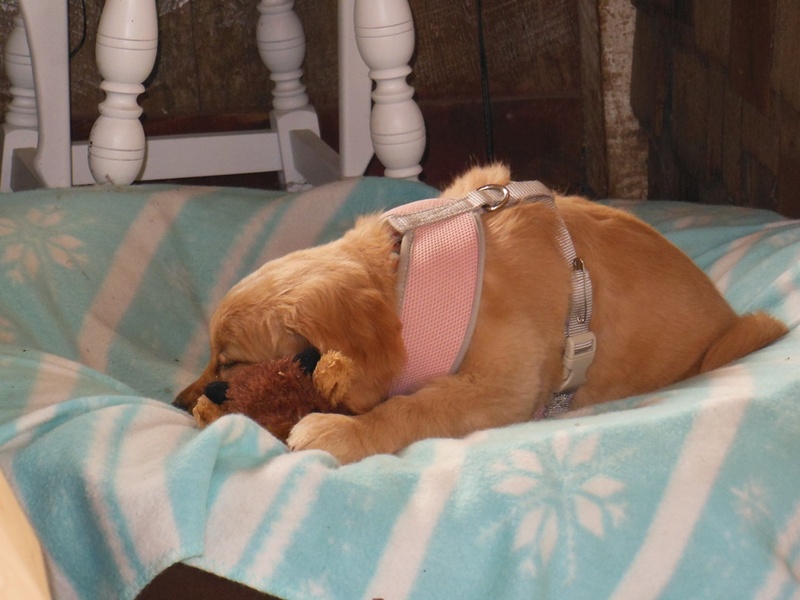 This makes everything from house training to manners and socialization far more challenging and sets up new puppy owners for a lot of unnecessary challenges and, often, failure. If you’re less attached to getting a purebred puppy, look at breed rescue and other shelters and rescues in your area. The plus: you will meet your dog before taking him home. The minus: no guarantees on breeding, health, temperament, or early experiences. These dogs could come with a lot of baggage. Then again, so can a well-bred puppy. Don’t believe me? Read The Education of Will for a harrowing example. The bottom line is, there are no guarantees, but choosing your puppy carefully is an essential first step. Relationships are hard, even when they’re with adorable four-footed fuzzballs. As someone with a 6 month old Border Collie that I got when she was 8 weeks old, I think that puppies are kind of overrated, haha! Don’t get me wrong, I wouldn’t trade my girl for any other dog in the world, but the next Border Collie I get will be no younger than 8 to 10 months I don’t think, because man was puppyhood rough at first. You can get a great dog from a rescue if you’re careful, and I think a lot of issues are more easily worked through than people think. I mean, I personally would not knowingly adopt an aggressive dog because that would be a little too far outside my comfort zone, but when it comes to things like pulling on the leash and jumping on people… yeah, it’s annoying but I could definitely work with that.